Fabricio, a Chavista young man, is stuck at home during the rioting that occurred in Venezuela in 2014. Alejandra, his former opposition girlfriend, who is participating in the street rioting, is pursued by the National Guard, and arrives, without knowing, to Fabricio’s house, who helps her to hide. Due to the volatile situation in the streets, Alejandra should stay with Fabricio until it is safe to get out. During this time together should deal with their political differences, which in the past led to their separation. A successful powerhouse mom turns her life upside down risking it all to fulfill on a promise she made 20 years ago and sets out to make a movie she believes will heal a generation of more than 16 million Latinos. These emerging artists have arrived through unconventional means. They provide critical content that consciously inspires, dispels myths, connects and builds. During this discussion we will explore nonconventional filmmaking, the Latino voice and how to carve your own path. The search for identity. Cultures crossing continents. In Nikkei, director Kaori Flores Yonekura tells the story of her grandparents’ intrepid journey from Japan to Peru to Venezuela. Along the way, their personal search for a new home is set against the larger backdrop of the history of Japanese immigration to Latin America: from servitude in Peru, to the anti-Japanese media campaigns in World War II, to propaganda and promises of a better life in Venezuela. Nikkei is a fascinating and artfully constructed documentary that uses photographs, animation and personal testimony to reconstruct a subject of Latin American history that is rarely presented in cinema. The Gran Varones is a storytelling project that uses video and photography for Latino Gay and Latino Queer* men. Inspired by... Willie Colon’s groundbreaking song “El Gran Varòn,” this project shines a light on what being “out” and “proud” means to us, our families, and our communities. 'Cows wearing glasses' is a film about the emotional awakening of a man who is nearing the end of his days. Marso, a solitary and eccentric painter and art professor, has a disease that will make him lose his sight at any time and that has forced him to rethink the relationship with his daughter, while taking stock of a life full of professional success but unsatisfactory on the personal level. With touches of humor to tell small daily humiliations, 'Cows wearing glasses' is a reflection on the position of a man facing the inevitable. An intimate story, reduced to a minimum, which shows the internal reality of a character to the brink of his circumstances. The Youth Salon was created to inspire and be a catalyst for the change youth seek in their communities and the world around them. This year we have a diverse and exceptional group of filmmakers. Our day of begins with the youth workshop, a 90 minute program that will empower students through hands on-training and exposure to socially relevant tools, supporting young people media skills necessary to be creative and productive global citizens. This workshop will be followed by a screening of short films and a panel discussion lead by young artists and activists. Workshop registration @ 11:30AM. Space is limited. The film showcase will begin at 2PM. All are welcome. Josh, an aspiring pianist, falls in love with a theater dancer named Roma, but their relationship is challenged by her ex-fiancé Dean, a vigilant womanizer. This modern day silent film is carried by instrumental music of various genres while keeping to the classic look of black and white cinema. This is the story of Milagros Baez (Millie.) Millie struggles with low self esteem and has little or no sense of who she is as a Puerto Rican. 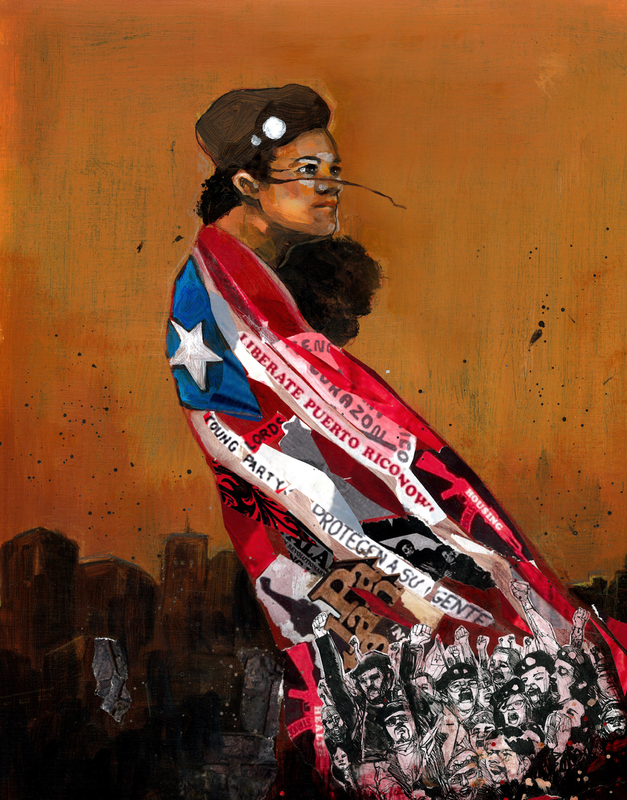 Her life begins to change when she meets Mateo, a former member of the Young Lords Party. As she begins to educate herself and stand up for her own needs, making new friends and finding a boyfriend along the way,she changes herself and everyone around her.She begins to see that it is her and only her that can take the first step in changing her life. The rebel eldest son of a prosperous family returns home, setting off a series of events that will help them forget old feuds.